Liven up your next meeting with these office party games! 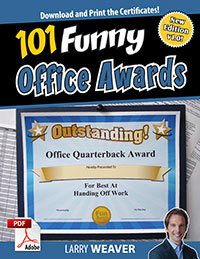 Choose from simple office party games to elaborate awards programs. These office games are perfect for small meetings, larger office parties, Christmas parties, Holiday events, and any office meeting that needs more fun! This simple version is quick and easy to do with minimal preparation. It can take place with just a few employees gathered in the conference room, or with a larger group. 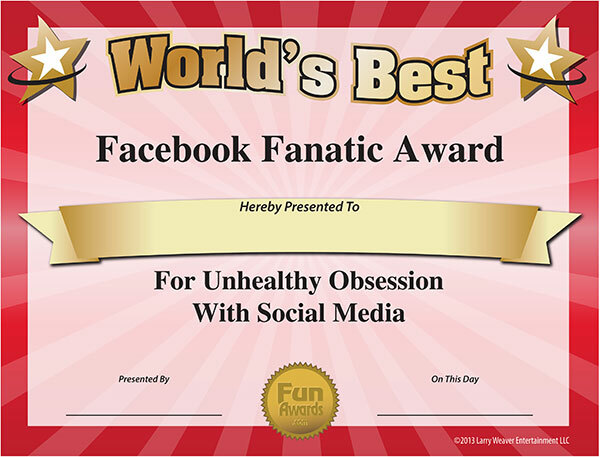 Download and print the free award certificates from this site (also scroll down this page for more) , or purchase our 101 Funny Office Awards for the most possible options. Gather your employees for an impromptu employee recognition ceremony. "All right, it looks like our winner is Bob! Bob, you get the Heinz Ketchup Award for excellence in making others wait!" To make this version as simple as possible, don't spend too much preparation time thinking about the winners. 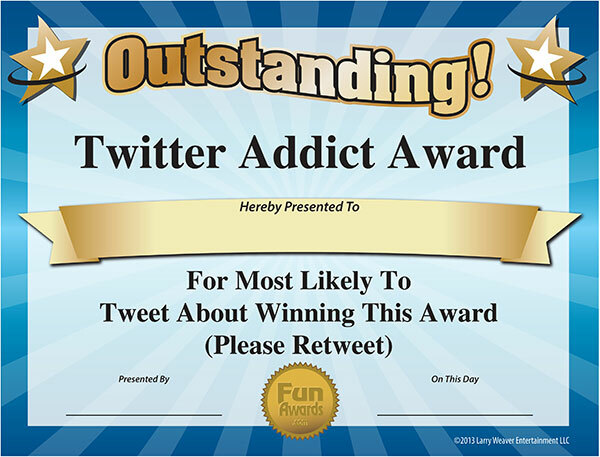 Just print out some of the funny awards and let the laughs come freely and naturally. This version can be drawn out over a week or two so that everyone will be talking and looking forward to the awards ceremony! 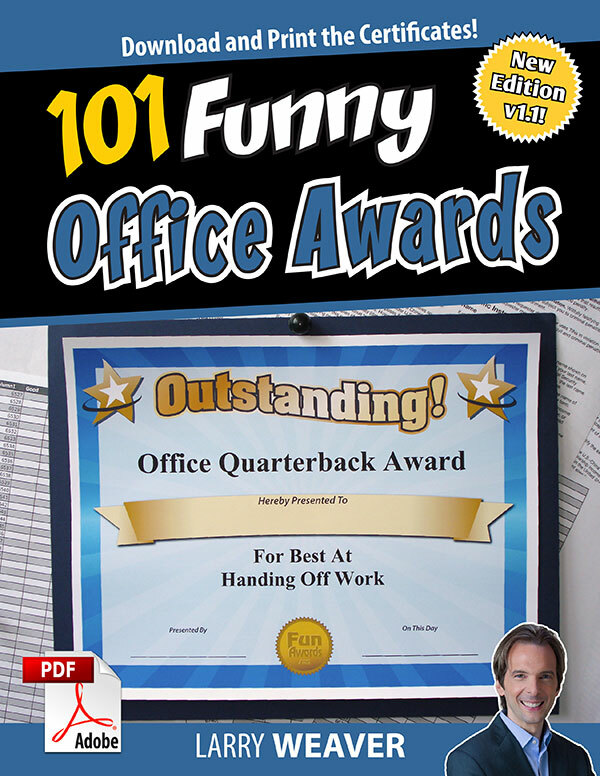 Download and print the free award certificates from this site (also scroll down this page for more), or purchase our 101 Funny Office Awards for the most possible options. For extra pomp and circumstance, mock up an awards ballot using an Excel Spreadsheet or Word Document. Tabulate the award winners. Again, an Excel spreadsheet or paper ballot can make things easier. 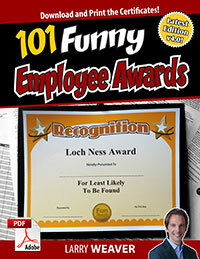 Gather everyone at your office meeting or Christmas office party to hand out the funny employee awards. 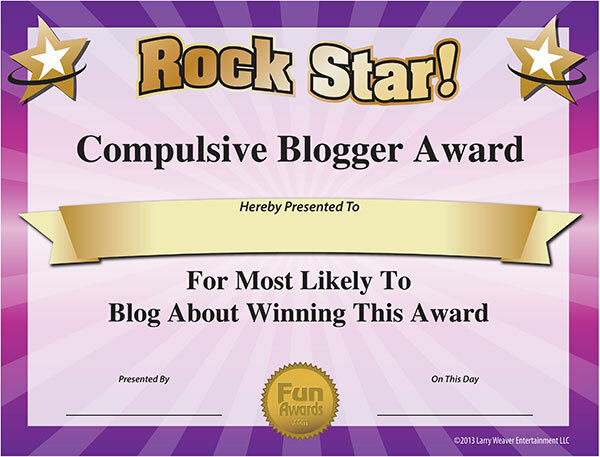 This more detailed version will really get people talking about the awards show! 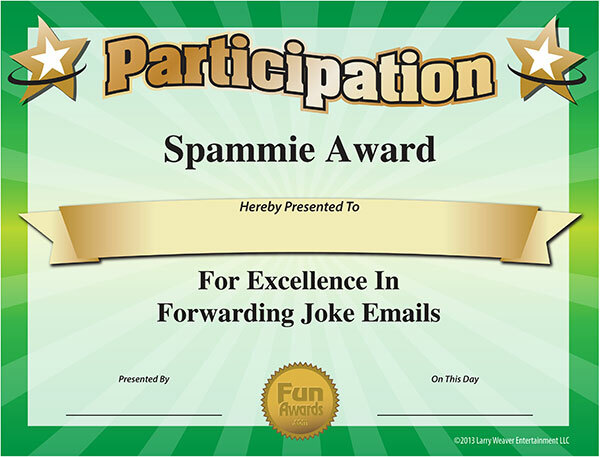 If you’re worried at all that your award may embarrass the winner, you can always tip that person off ahead of time. You might think that would ruin the presentation. But remember: the idea is to create an entertaining presentation for the entire audience – not just to surprise one person. Telling the winner ahead of time will allow that person to voice any objections, and will give them time to prepare a funny speech if they choose to do so. 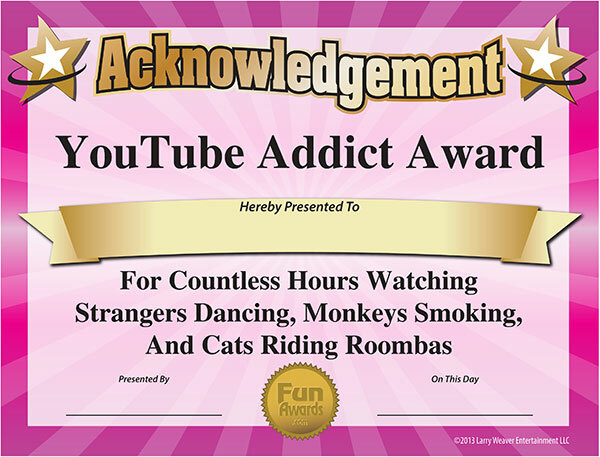 Everyone else will still be surprised and entertained when the award winner is announced, and you won’t have to worry about any potential awkward moments! To really make the awards ceremony exciting, hire a professional comedian to host an awards program.